"Michelle" is a love ballad by the Beatles, composed principally by Paul McCartney, with the middle eight co-written with John Lennon. It is featured on their Rubber Soul album, released in December 1965. 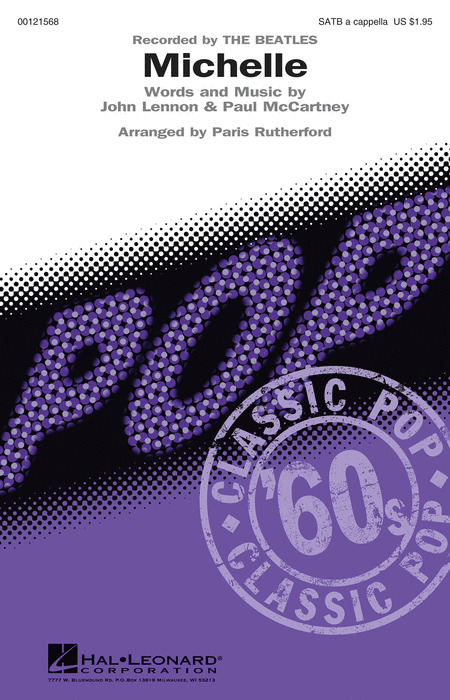 The song is unique among Beatles recordings in that some of its lyrics are in French. "Michelle" won the Grammy Award for Song of the Year in 1967 and has since become one of the best known and often recorded of all Beatles songs. The King's Singers do the Beatles. 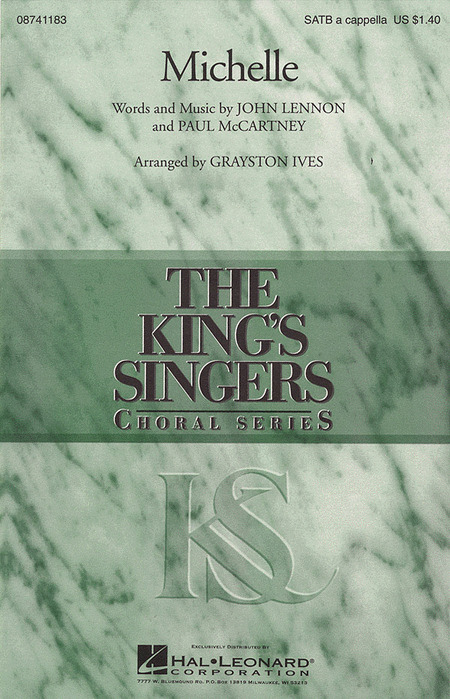 The songs are interesting, with classic Beatles tunes arranged by members of the King's Singers. Some of the songs are done in different periods and styles, all are accesible and fun to sing. SATB Octavo. The book contains the lyrics, melody and chord symbols for 8 favorites, and the CD features demos for listening, and separate backing tracks so you can sing along. Mac & PC users can adjust the recordings to any pitch without changing tempo! Includes: All You Need Is Love ¥ Eight Days a Week - Good Day Sunshine - Got to Get You into My Life - Hey Jude - Michelle - Penny Lane - Ticket to Ride. From 1965, this classic by the Beatles showcases the purity of a cappella voices highlighting the beauty and longing of this expressive song. The opening and closing are largely homophonic, with a quasi-Baroque middle section adding interest. Harmonic freshness and occasional rhythmic extensions of the lyric highlight the text in a way that enhances the poetry. For pop, jazz and concert choirs.